Fish oil was able to protect the skin from the threat of cancer. Researchers from the University of Manchester have also found that omega-3 fatty acids in fish oil improves immune system that help the body fight cancer and infections. The sun's ultraviolet rays are often called the culprit of skin cancer is draining the immune system in the human body. But by taking fish oil on a regular basis, the risk of skin cancer due to sun's ultraviolet rays can be reduced. This is the first proof that omega-3 - are usually found in oily fish and plants - on the human body. Professor Lesley Rhodes said that, this time, the research on the efficacy of fish oil to prevent skin cancer is only tested in laboratory mice. But we managed to prove that humans also get the same benefits. A total of 79 patients were included in the study. They were then asked to consume fish oil every day before told to sunbathe for 15 to 30 minutes in the middle of the day. As a result, those who had consumed fish oil decreased immune system by 50 per cent lower after sunbathing. Researchers also reported in The American Journal of Clinical Nutrition. In addition to protecting the skin from cancer, fish oil has also been proven to prevent cardiovascular disease. Back pain is painful. But recently, a recent study reported that patients who were given the treatment of back pain from a bee sting toxin injections can reduce inflammation suffered. Bee sting is poisonous because it has its own effects on the human body. toxins from a bee sting therapy even been used as a traditional medicine since ancient times. Recent research has also attempted to prove its efficacy. In an experiment, researchers from the University of North Carolina studied the effects of bee toxin on the back and leg pain. Researchers then found evidence that the pain suffered by patients decreased by two-thirds, even though they are not sure what the right dose for pain completely. Meanwhile, another study from the University of Exeter also proves that bee toxin contains a composition that allegedly able to relieve joint pain. Arthritis Research spokesman said, There is already plenty of evidence that the toxins from a bee sting is potent lowering of inflammatory back pain and all matters relating to the issue of joint pain. Back pain usually occurs when a person sits too long and not doing other movements. Tense muscles conditions makes back pain, and when moved will be sore. There are actually several ways to overcome back pain. For example, with yoga or acupuncture. However it is better if you change the habit of sitting too long and change the sitting position. Because certainly better to prevent than cure. Do you want your eyes healthy? Begin to pay attention to your nutritional intake, especially from fruits and vegetables rich in carotenoids. Carotenoids are found in green leafy vegetables and colored fruits. According to a study reported in the Journal of Food Science, consumption of beta-carotene, especially kind of lutein and zeaxanthin, can improve the performance of the organ of vision. Lutein and zeaxanthin play an active role to protect the retina and lens of the eye, and can reduce the inconveniences because the light is too bright. By combining a variety of fruits and vegetables, you will get the vitamins and nutrients that are good for the eyes with more variety. So what are you waiting? Let's eat more fruits and vegetables for your better vision! The basic principle of weight loss is calorie balance. To lose weight, you must consume fewer calories than those used by our bodies. Or in short, calories in (from food) must be less than calories out. That is what should eat less? Not really. Restricting caloric intake does not necessarily mean eating less. We can still eat more quantity but low in calories by choosing the right foods, eg, fruits and vegetables. Research shows that people who regularly eat fruits and vegetables appeared to have a lower risk of obesity. The secret? 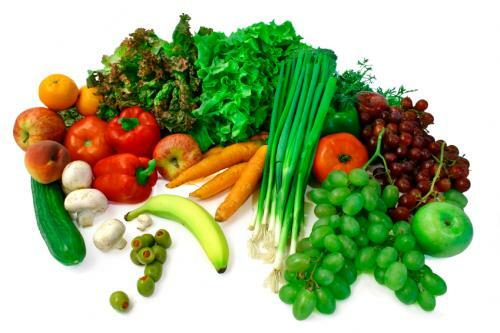 Fruits and vegetables contain a high water and fiber so it tends to be low in calories and low in fat. The content of water and fiber in fruits and vegetables also help make us feel full faster and not get hungry again. Still need to remember that although fruits and vegetables low calorie content, they still contain calories. If fruits and vegetables consumed excessively in addition to the daily diet, your weight will actually increase. The right way is to replace the consumption of high-calorie foods with fruits and vegetables. In addition to low calorie, we also got the added bonus of a range of nutrients contained in fruits and vegetables. Not all fruits can help us protect ourselves from stroke. Recent studies show that eating fruits and vegetables which have white flesh can protect us from strokes. 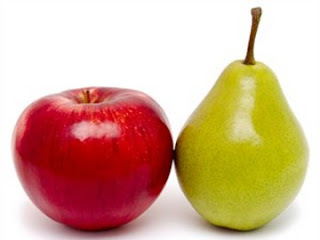 Examples of these two are apples and pears. Not just to relieve the symptoms of stroke, both of the fruit are also great for people who often inhale cigarette smoke (passive smokers). Because, apples and pears can help clear toxins in the body. The study was conducted at Wageningen University, Netherlands, by looking at the relationship between the consumption of food color with a stroke in 20.069 adults were free of heart disease and the mean age was 41 years. This study found that the risk of stroke 52% lower in people with high intake of fruit and vegetables a white fleshy. Each 25 gram increase in daily consumption of fruits and vegetables is associated with a fleshy white 9% lower risk had a stroke. Apples and pears are high in fiber and have a pigment called quercetin. According to the lead researcher, Linda M Oude Griep, to protect themselves from stroke, we should increase the consumption of large amounts of white fleshy fruits and vegetables. Eat the apples a day is an easy way to increase fruit and vegetable intake of white flesh. Rich in coenzyme called Q10, strawberry fruit is an antidote to free radicals, slow aging agent, and quickly be able to help the body cleanse the dead skin cells. Eating strawberries also make the body more quickly produce collagen. Almost the same as strawberries, tomatoes also have properties to add the content of collagen in the skin. So that the skin will look bright and springy. Also antioxidants in tomatoes effective to remove acne and wrinkle lines on the skin. Orange, fruit rich in vitamin C has the effect of lowering inflammation and can help the skin look brighter. 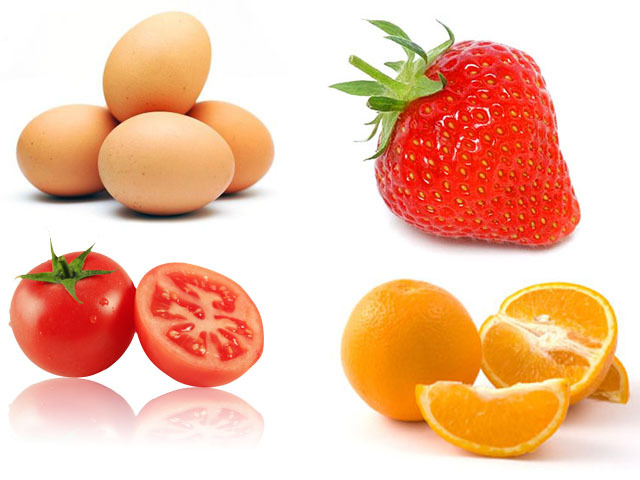 In addition, vitamin C also helps the absorption of vitamin E and iron in the body, so the skin will look more radiant. Tai chi, an ancient martial concept of China, it can be used to speed up the healing process in patients with stroke. A study suggests that tai chi can reduce a patient's risk of stroke to fall. In addition to keeping the patient's stroke so as not to easily fall, the study also found that people who did tai chi as part of their healing stroke recover faster than those who did tai chi. This result was found after researchers observed 89 patients who survived stroke. The participants were an average age of 70 years were divided into three groups. One group was asked to perform tai chi for 12 weeks, the second group was asked SilverSneakers exercise to strengthen their muscles for 12 weeks. While the third group did many activities at random just so they are always active. After three months of study, the total number of patients who fall are as many as 34 people. This is usually caused by a slip or walk fast. Researchers found that the group who did tai chi is the least fall. While about the same number of patients who fall are at the second and third groups. Researchers observed that stroke patients are usually lacking in balance. For that, they easily fall. Tai chi movements are slow, gentle, and make sure stroke patients feel a firmer footing. In addition, tai chi also makes the mind more focused stroke patient and calm. Olive oil is already known more healthful than regular oil. 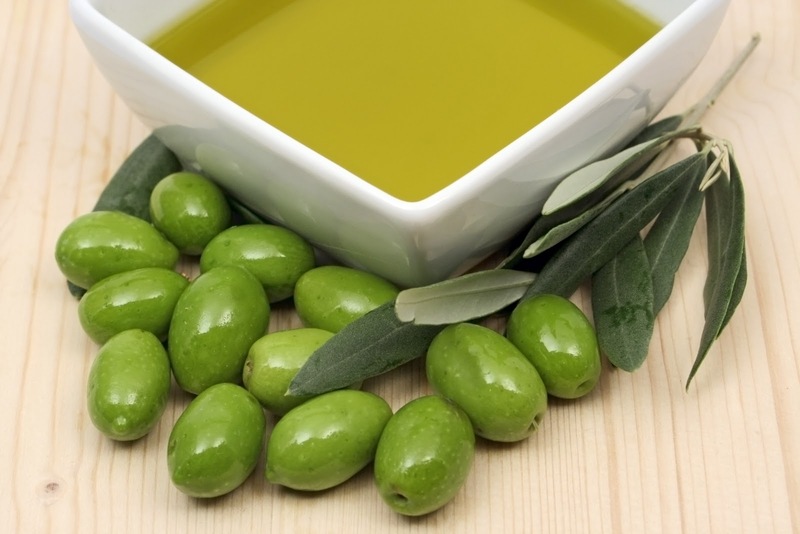 Now recent research has says that olive oil has health benefits in protecting the intestine. Compounds called oleuropein aglycone in olive oil rather that is contributing to maintaining the blood supply to the intestine. In addition, these compounds also reduce the risk of intestinal tissue damage caused by ischemia symptoms - lack of blood flow in the cell. According to researchers, this is the first study to find benefits of olive oil directly on the body. Researchers also hope the research could be used to create a method of treatment of certain diseases by using olive oil. Apricots are a good source of fiber for your body, and rich in iron, vitamin A and C, potassium and antioxidants. This fruit can increase the amount of blood and is good for people with anemia. 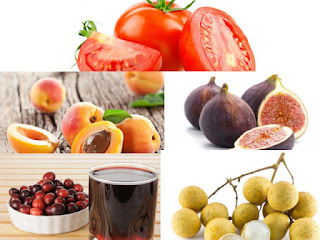 The fruit is also good for those who have digestive problems and constipation. Daily consumption of dried apricots also help the body to fight infection, repair damaged tissues, build strong bones and teeth, and improve visual acuity. Figs contain a lot of vitamins such as vitamin K, B6, C, E, various minerals and phosphorus. Figs are also rich in copper are important in the production of blood vessels. These foods also protect us from cancer, diabetes, degenerative diseases and infections. Tomatoes contain no fat and zero cholesterol. In addition, the tomato also has antioxidants and is rich in vitamin C, and iron. Vitamin C is found in dried tomatoes also help in the prevention of cancer, diabetes, heart and lungs. Dried cranberries are widely used to treat urinary tract infections. It also help in the fight against bacterial infections, heart disease, strengthen the immune system, and is reported have anti-cancer properties. Dried cranberries also help in the fight against tooth decay. Sister of lychee has many benefits for those who suffer from stomach ailments, insomnia and amnesia. The fruit has a calming effect on the nervous system and also controls the blood. Stewed of dried longan/litchi also help treat insomnia and neurasthenic neurosis problem. 1. Dr. James Cerda explains, consume of guava fruit between 0.5 to 1 kg in a day and it was carried for 4 weeks can reduce the risk of heart disease by 16 percent. 2. In the guava are high lycopene content. therefore, the guava fruit juice in Indonesia is often used to increase platelet levels dengue patients although there is no solid research on these benefits. 3. Singh Medical Hospital & Research Centre Morabad of India, conducted a study that showed that guava can lower blood pressure in hypertensive patients, lower cholesterol and blood triglycerides. 4. Useful for controlling the body's fluid balance cells and cell tissue. 5. Regulate delivery process of nutrients into the body cells and make muscle contractions become active. 6. In guava fruit contained potassium content which is useful to improve the regularity of the heart rate. 7. Other content in guava is an antioxidant to fight cancer, and lycopene. Lycopene contained in guava is very easily absorbed by the body than lycopene from tomatoes that have different structures in the cell. 8. 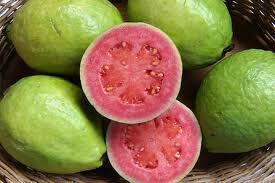 The high fiber content in guava is very good in preventing constipation. Guava fruit with medium size having 36% of fiber content that is highly recommended. The seeds are also very helpful in cleaning the exhaust system in the intestine. That's some of the benefits of guava fruit. I hope this information is very useful for the visitors.